Services on Delhi Metro's Blue Line were briefly affected tonight after a train developed some technical snag. 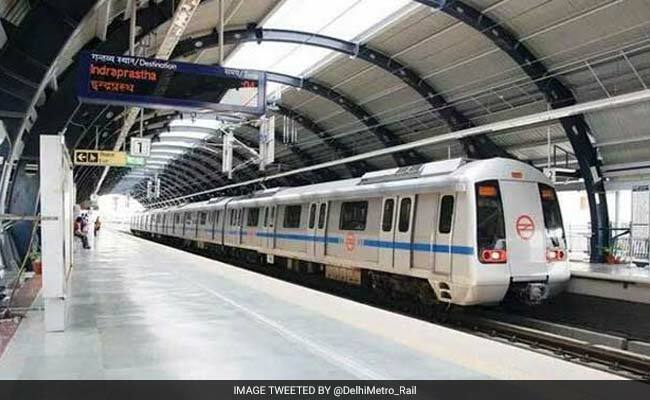 A train at Mandi House station, heading towards Dwarka, could not move forward once it halted at 8 pm, the Delhi Metro said, adding that normal operations were resumed after 8.22 pm. "To avoid delay to services, passengers were deboarded at Mandi House at 8:22 pm as after troubleshooting train was not getting Automatic Train Protection communication in forward direction and train was sent back to Yamuna Bank depot after reversal from Barakhamba for further investigation," it said. Train services on the Blue Line became normal after 8:22pm, it added.